Home » Help Seal Out Tooth Decay! Awareness of the importance of dental sealants has increased over the last twenty years. Although we think that many parents who did not experience this procedure during their youth, may need to be educated so they can gain a sense of comfort before taking children of their own in for the procedure. If you have questions regarding dental sealants, a dental hygienist or pediatric dentist will be available to answer specific questions. The basic understanding of the purpose of dental sealants and how they work to help protect teeth will help while you make the informed parental decision. A protective barrier that is placed on children’s teeth that work towards sealing out food and bacteria to help prevent cavities is known as a dental sealant. 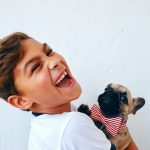 When sealants are used in support of a good dental care routine that uses proper brushing and flossing techniques, fluoride treatments, as well as a balanced and healthy diet, it will help to maintain good dental health. Although brushing and flossing are very critical components, sealants help to provide additional safety and protection for the grooved areas of the teeth from decay. When should teeth be sealed? It depends solely on your child’s incidence towards dental caries to determine the number of teeth that should be sealed. To maximize the protection and safety of your children’s teeth, dental sealants should be applied as soon as possible. Preferably after permanent teeth have erupted, which is usually around the age of 6 years old. Who will Apply Dental Sealants? Applying dental sealants is a very quick and painless procedure. Sealants will be applied by either a dental hygienist or dentist during an office visit. The teeth should be cleaned and examined properly before application. The dentist or dental hygienist will make sure that the tooth is dried off, they will then place a material onto the tooth, and follow with rinsing and drying it. The sealant material is then placed on the biting surface of the tooth as a special light is then placed over the tooth to help the sealant harden.